Give the gift of adrenaline with a gift card to Octane Raceway! 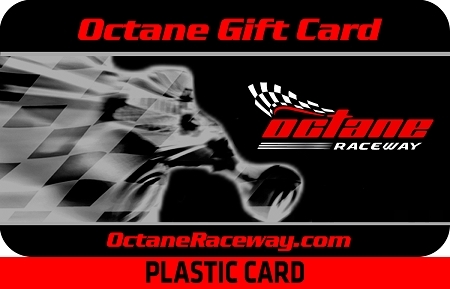 Octane Raceway gift cards can be used for any item in our facility. This includes: Racing, Velocity VR, Food, Drinks, Arcade Games and more! For questions or more information, please call 602-302-7223 or visit our website at http://www.octaneraceway.com. *Not valid with groups, other offers, or online reservations. Not valid with same day use.